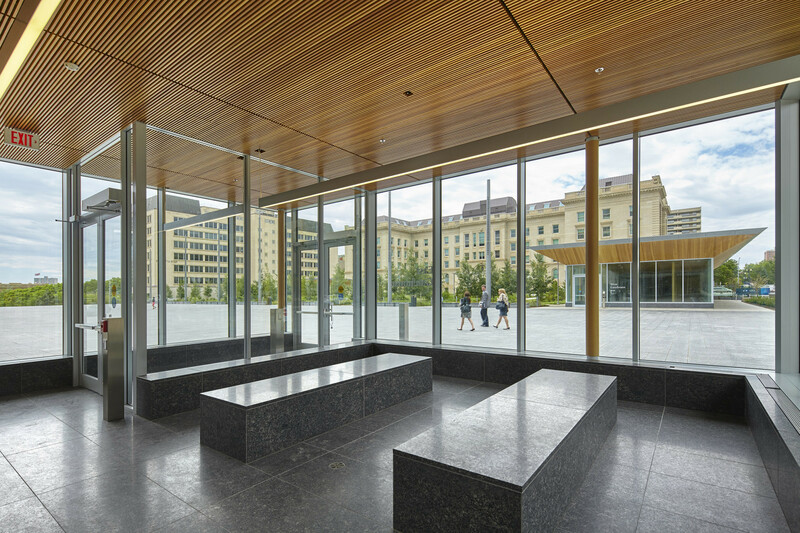 The Centennial Plaza Project represents the implementation of Phase 1 of the Alberta Legislature Centre Redevelopment and Capital District Master Plan. 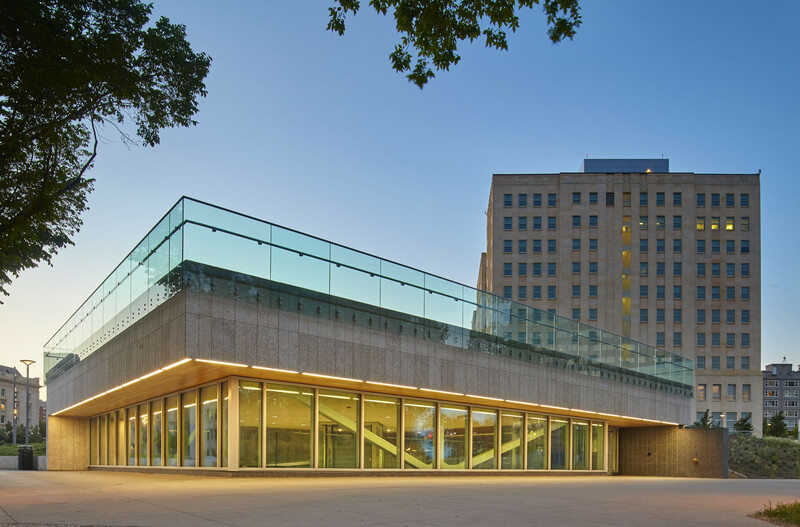 Joining forces with Kasian Architecture, Moriyama & Teshima led the master planning and design of the public plaza/urban park and underground parkade component of the historical Edmonton Federal Buildingʼs $350-million renovation and redesign. 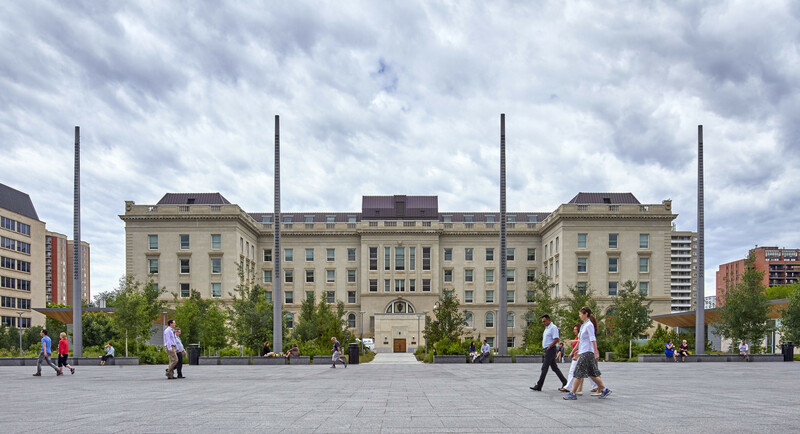 The redesign included a $200-million to revamp the building and $156 million to build 650 underground parking stalls and a new landscaped plaza between the Federal Building and the nearby Bowker Building. 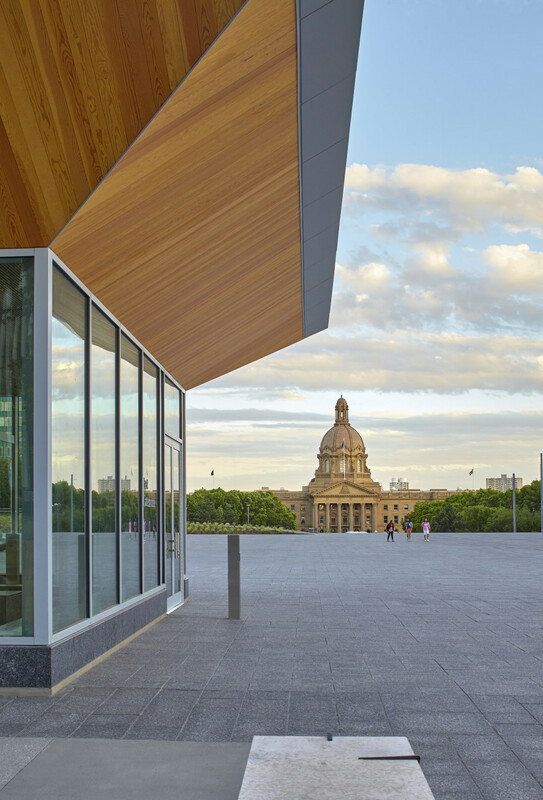 This project works to preserve a historically significant landmark while rejuvenating the Legislature Grounds and district for all Albertans and visitors to enjoy. 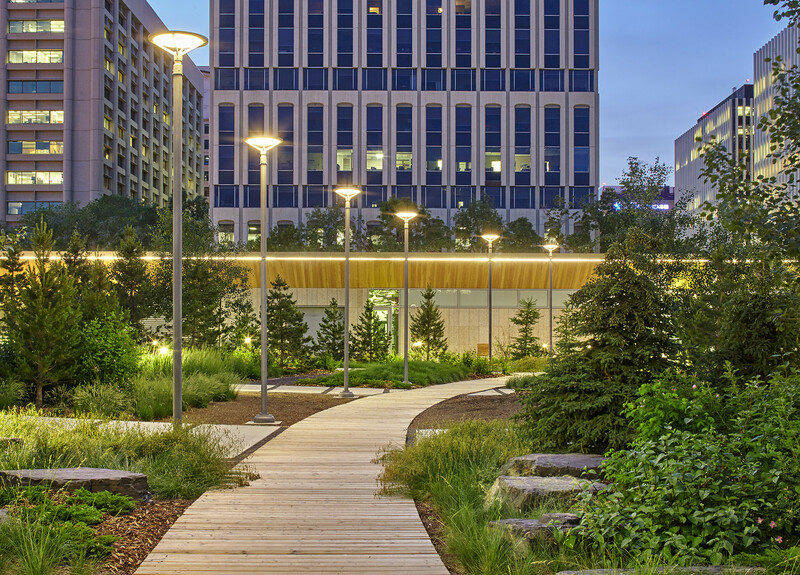 What was once an asphalt parking lot has been transformed into a major urban and family-friendly attraction. 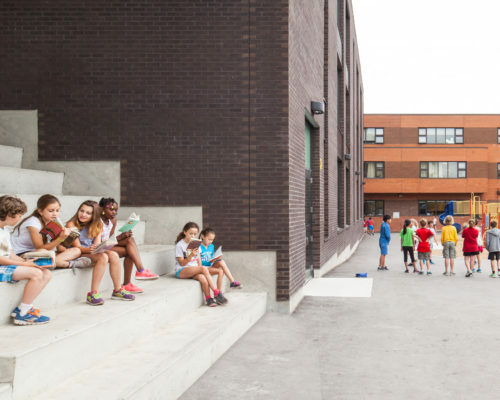 The newly created public space endeavors to support the City’s vision of creating Sustainable, Vibrant, and Accessible spaces, while encouraging a sense of community, diversity, social interaction and engagement. 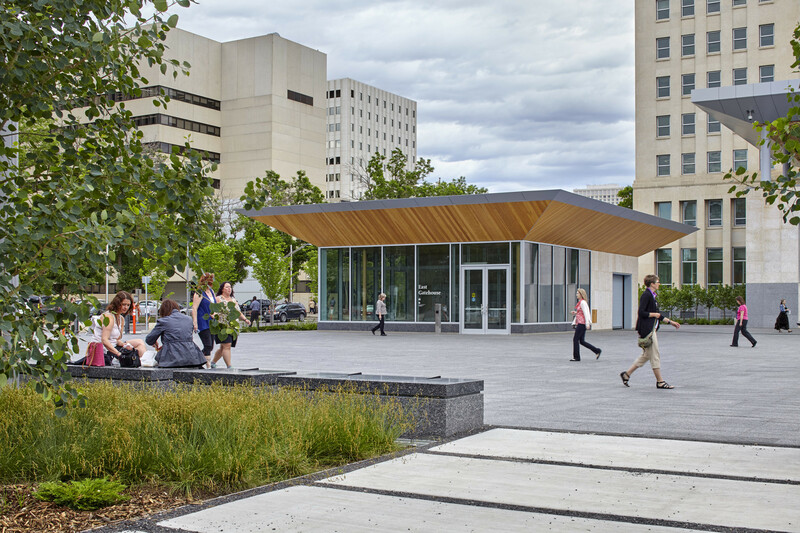 The project carefully integrates initiatives identified within Edmonton’s Capital City Downtown Plan. 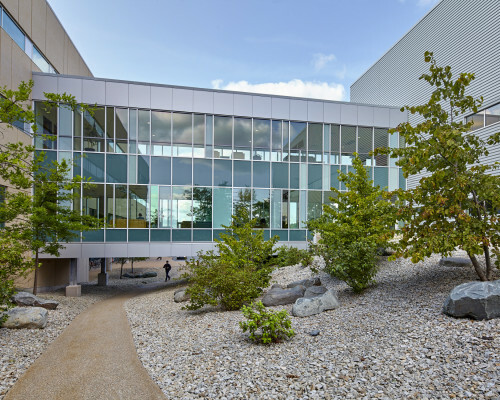 These initiatives include a stronger accessible pedestrian link connecting down to the river, and the extension of Heritage Trail along the 99th Avenue Streetscape. 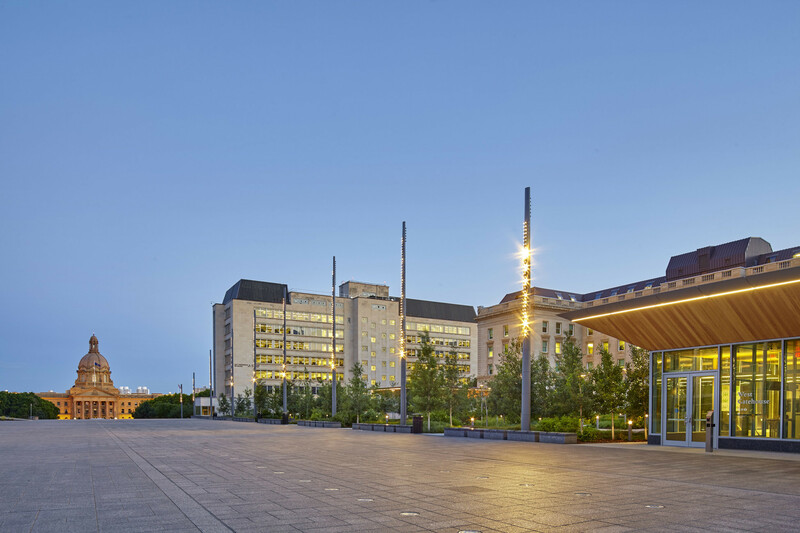 Additionally, the plaza provides ample space for major cultural activities such as concerts, Canada Day Celebrations, and festivals on a regional, national and international level. 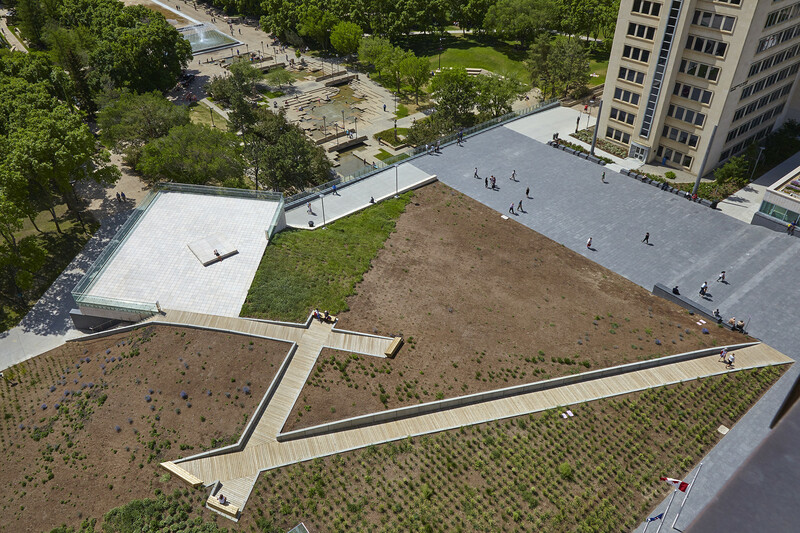 The plaza offers year-round activities for visitors to experience. Water activities have always been an attractive part of visiting the Legislature Grounds, and with the new commemorative water feature celebrating the 100th Anniversary of the Alberta Legislature, this summertime tradition continues. For wintertime activities, the plaza has been designed to house a professional sized hockey rink where families can enjoy refreshments at the Gatehouses and go skating in this idyllic setting. 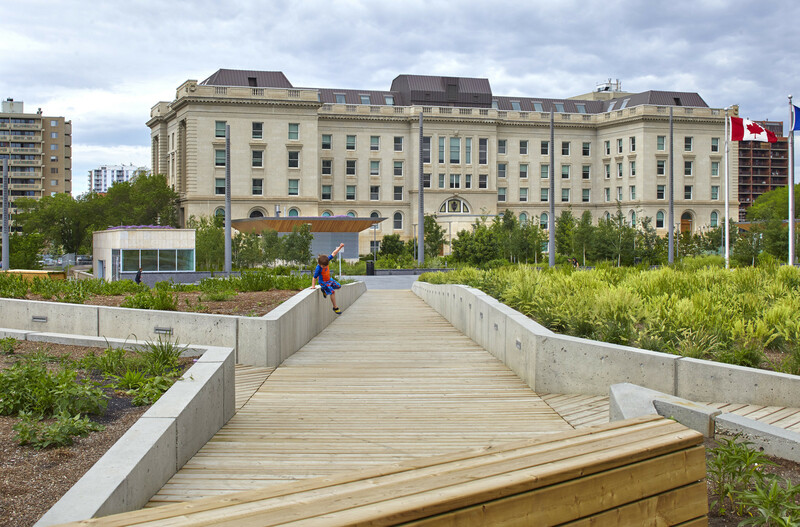 Edmonton Urban Design Award Winner!